Obsessing over words as displacement activity – The brain is sooooo cool! I am fairly certain that writing this short post is a displacement activity. A displacement activity is when your entire thoughts and feelings and motivation are directed toward one objective and instead you go do something “unrelated”. Cats do this all the time. There is a toy or a small rodent or a bug flying around and the cat is flying hither, thither and yon to catch the object of interest. And then she turns away and starts to lick herself as though cleaning is actually most important objective to her at that moment. It’s not true and after a moment, she’s back at chasing and doing impressive gymnastics to get at that dastardly fly. Individuals engage in displacement activity when the going gets tough or when a hard-to-decide-between choice of possible actions occurs. The displacement activity itself is the opposite of challenging, an action that is familiar and easy. In the video above, Gris-Gris really wants to jump up on the table because as everyone knows, food tastes better up there. But she’s feeling uncertain of her jumping ability and stops en route to the big leap several times. All the while, it is clear that jumping up to the food is her only real objective. Rats in my laboratory show what I interpret as displacement activity all the time. In my laboratory we study rats helping other rats out of a fix. Specifically a free rat will try to and ultimately usually succeed in opening the door to a restrainer containing a trapped rat. 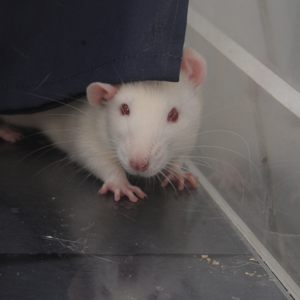 Opening the door is very challenging for rats and our typical rat requires hours over multiple days to figure it out. So what appears to be going on is that the free rat is very bothered by the trapped rat’s distress. 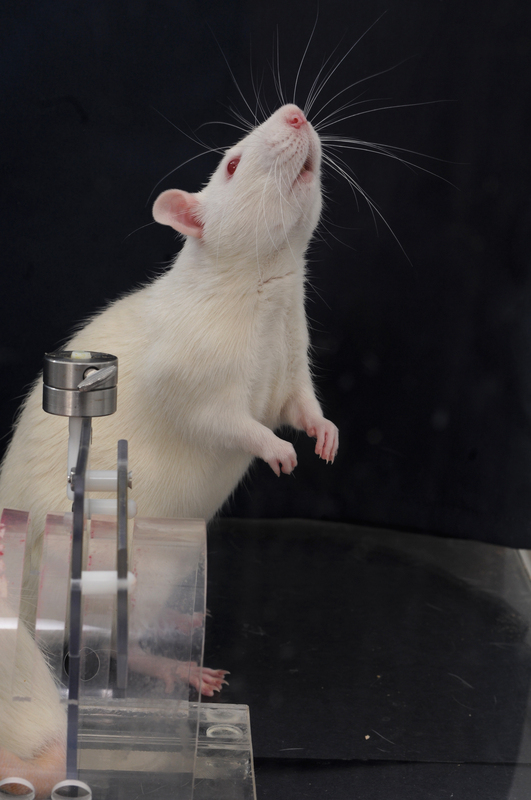 He (not used generically; we use male rats almost exclusively) tries to open but it’s frustrating and so you see the free rat break away and explore the edge of the testing arena. I have never tried to prove the point but it looks like displacement activity to me. This rat has been trying to open the door for a while. Now he’s looking around but soon he’ll be back at his attempts to open. 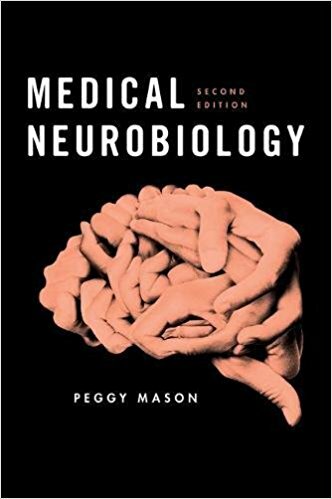 Back to the meandering topic at hand; I am in an advanced state of readiness (shout out to my friend Peter Redgrave for this lovely turn of phrase ) for our MOOC, Understanding the Brain: The Neurobiology of Everyday Life, to start in a few days. I find it difficult to concentrate on much else. Nerves and excitement bundled up together. And then I find myself writing about fixation and focus, again…..
Oh by the way, did I mention that our MOOC is launching in oh roughly 54 hours, but who’s counting? I’m excited about the MOOC too, in the meantime I’ll do displacement activity at work. Nice. Funny. Impressively productive. Thanks for stopping by. Excited for the next week in your MOOC class. Reading this is a displacement activity. Finished the work on sunday. Then copied the entire glossary into my notebook. 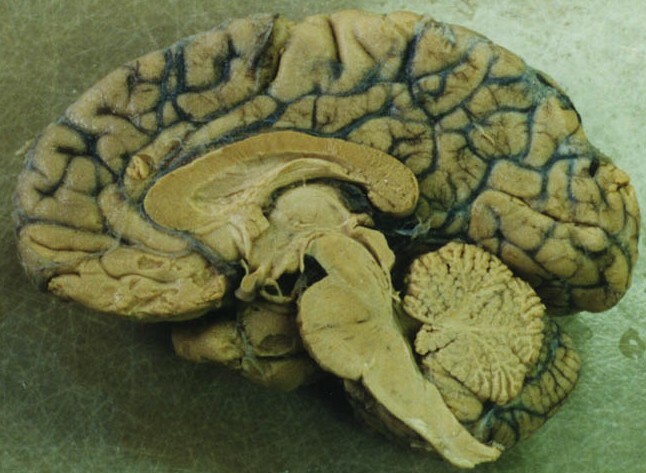 Then looked into demyelinating diseases some more. Next week needs to come soon. This reminds me of Unconcious Thought Theory. I’m in your MOOC and enjoying it very much. I had not heard of UTT as a term but I am of the opinion that 1) conscious acts constitute a minority of what we do; and 2) there is more neural territory devoted to, and therefore more power in, unconscious processing. I’m so glad you are enjoying the MOOC – me too. Unfortunately, I can’t remember where I read it, but the thought was that engaging in displacement activity was a deliberate strategy to engage the unconcious mind, or let an answer bubble up from there. Upshot: no need to feel guilty! It’s productive distraction! sometimes. That’s funny. I don’t feel guilty. When I want to remember a name or recall something that is not springing to mind, I think of looking for a dim star; which means fixating 15 degrees off center. So I stop thinking about it. Similarly I get a lot of ideas while I’m doing other things. I’ll be weeding my garden and pop, up springs an idea. So I’m with you. It’s definitely productive. And as I watch my cats engage in displacement activity, I recognize that it also has the evolutionary stamp of approval.